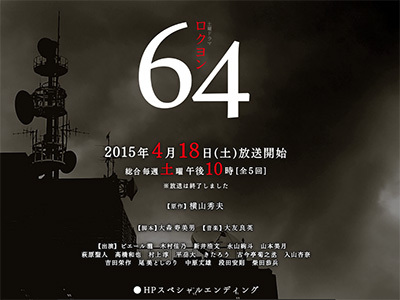 While the public relations office of D Prefectural Police is having a confrontation with the correspondents' club, over the issue of the anonymity of perpetrators, it is decided that a Tokyo Metropolitan Police Department director will inspect the home of the family of the victim in "64", an important unsolved case with its statute of limitation about to run out one week later. 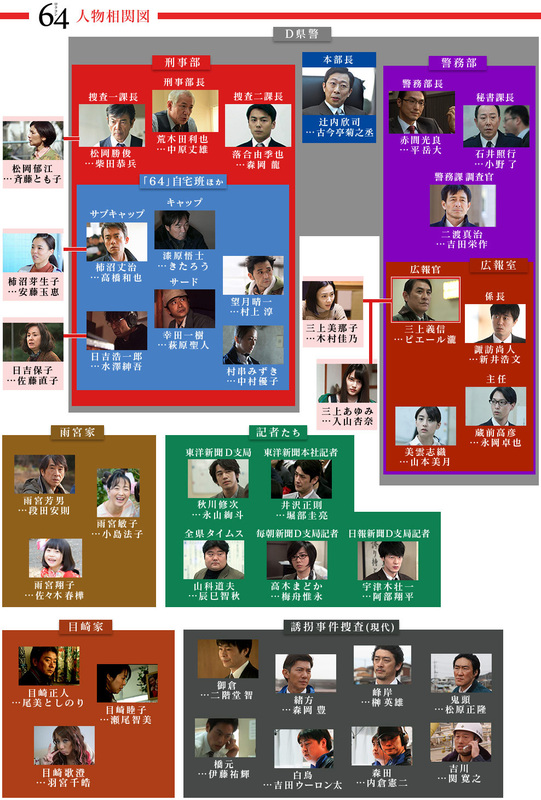 The kidnapping and murder of Shoko-chan which took place in just 7 days in 1989 (Showa 64) was the worst in D Prefectural Police's history. The family of the deceased decline the director's visit to offer condolences. A gag order is imposed on those involved in 64 such as the investigators at the time. An iron curtain between the Criminal Investigations Department and the Police Affairs Department. A mysterious memo. Then a new kidnapping that happens right before the director's inspection, is a exact copycat of 64.